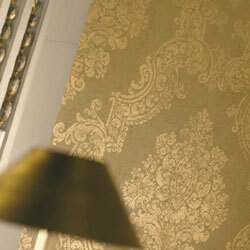 Tassels, trim and fringe at discount prices. 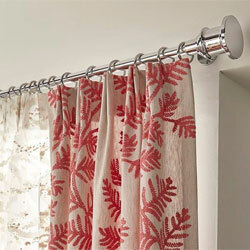 Huge selection of curtain rods, traverse rods and curved rods. 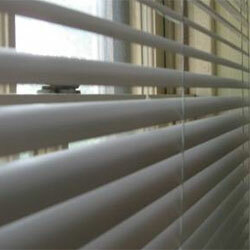 Beautiful, energy efficient solar roller shades. Interior Decorating online shopping mall with a huge selection of home decor, home decorating and interior decorating products. 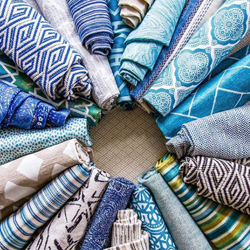 Shop and buy from a complete fabric store with quilting fabric, decorative designer drapery fabric and upholstery fabric, fabric trims, tassels and fringe as well as textiles from every major fabric manufacturer and brand. 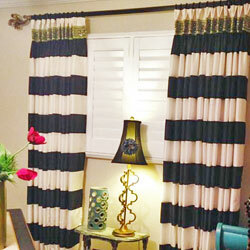 You can also buy from your own window treatment store offering a broad selection of window blinds and shades, including vinyl mini blinds, faux wood blinds, solar roller shades, roman shades, cellular blinds, wood blinds, bamboo shades and cornices. From the curtain rod store you can find every type of curtain rod and drapery rod with all the complimentary hardware accessories. 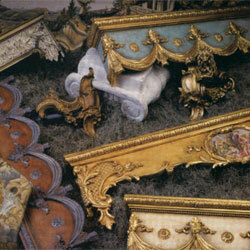 Other home decor specialties include wallcovering and wallpaper as well as borders and stickers for giving your home's walls that special look. 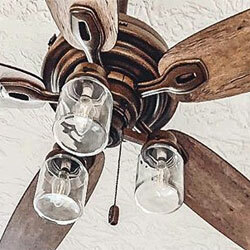 We are also your Authorized Hunter Ceiling Fan Store and handle their line of ceiling fans and parts. Check out the Bedding Store where you can buy every type of bedding you can dream of including comforter sets, duvets, kid and baby bedding, college football bedding, custom bedding, NBA bedding, NHL bedding and MLB bedding. 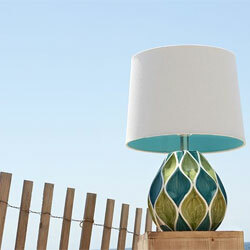 You can also choose from lamps and chandeliers that will light up your home. If you have any questions regarding any home decor product we sell online, please call or email our knowledgeable customer service team for assistance. Need a price on a fabric? Monthly newsletter packed with tips, projects, trendy home decor and more. 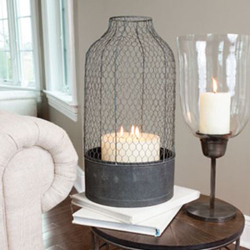 Check out our blog featuring the latest trends in home decorating. Tips and how-tos. New products and more.